About Us – LikhaInternet Inc.
You know you are on top of your game – with high-quality products and impressive, reliable services. But you want to reach bigger market and let them know that you are all that they need. The thing is, you don’t know how. Landing on this page is probably the best thing that happened to you today as you will be introduced to the people who know exactly what you need and how to get them materialized for your own benefit. 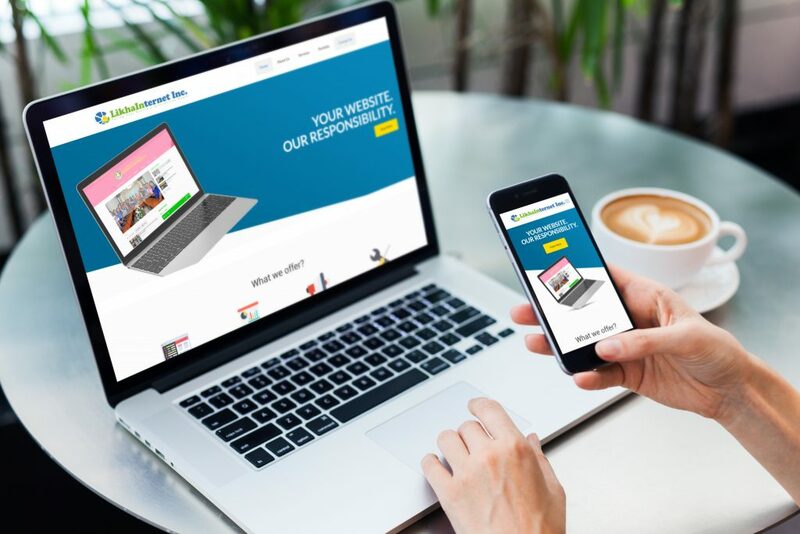 LikhaInternet Inc. is a company that specializes in online business solutions such as website design and creation, web hosting, Internet marketing, social media marketing, and multimedia services. Our team of web designers and online strategists will mirror what your company is all about and will guide you in keeping up with the latest business trends online. Our goal is to provide businesses with a professionally-looking website which will be your office extension open for the world to see. This will automatically broaden your reach as your products and services attain both local and global exposure. With countless competitors in the field, how will you get the greater advantage? Having a website gives you online presence. But our team who specializes in Internet marketing and Search Engine Optimization (SEO) will make that presence give you a resounding success. With cutting-edge strategies in the combined fields of Programming, Website Development, Search Engine Optimization(SEO) and Marketing, our team ensures the success of your business website. Apart from that, our team can also provide multimedia services for businesses. Our AVPs, commercials, documentaries, animations and graphic designs, will give you further reasons to attract more clients and keep those that you already have. LikhaInternet Inc. is the only online company in Batangas that can provide your business with everything you need in multimedia and Internet marketing. Definitely, we are far more than a website design company! At Likha Internet we tailor our solutions and strategy to fit your unique business objectives, your brand, and your clients. We recognize that every business is unique and employ different business models, target different customers, and aim for different goals. We will combine our expertise in technology and Internet Marketing with your business model to adapt our strategies to your specific situation. Likha Internet is composed of dynamic and talented individuals who will transform your ideas to an online presence. Our programmers and designers are experts in various programming languages including ASP, JSP, PHP, Perl, ColdFusion, ASP.NET, XML, DHTML, XSLT, WAP and HTML. Our Internet Marketing team is capable of making the right business strategies because of years of experience in the industry. To prove the exceptional skills of our team members, we have developed our flagship project, WOWBatangas.com. Along with the regular roll out of current events on this online magazine for interactive Batangueños, we have created features like business directory, job postings and online advertisements in WOWBatangas.com.